An opera film. Boris accedes to the throne after having Tsarevitch Dimitri killed. A monk called Grigori decides that Boris must be punished: passing himself off as Dimitri, he stirs up rebellion. The guilt-ridden Boris dies, bequeathing the throne to his son Fiodor. The tragic fate of the lovely Carmen, a cigar factory worker. 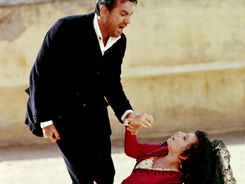 She seduces Don José, a brigadier, and in turn lets herself be seduced by Escamillo, a toreador. A tale where love meets death in the afternoon; George Bizet's famous opera superbly filmed by Francesco Rosi. 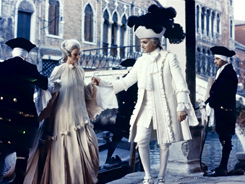 Joseph Losey's remarkable adaptation of one of Mozart's most famous operas. A marvellous production, reflected in its success, that recounts the legend of Don Juan, the libertine seducer. 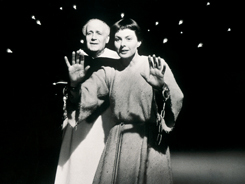 As she is tied to the stake where she'll burn, Joan of Arc remembers her past, recounting the main events of her life to Friar Dominique - her calling, her spiritual mission, and her earthly struggles. From her martyrdom to her childhood, her life unfolds amid the landscapes and people she has known, under the spell of enchanting dreams or the curse of horrible nightmares. An Oratorio by Arthur Honnegger and Paul Claudel brilliantly filmed by Roberto Rossellini. The story of Orpheus and Eurydice, a symbol of love and fidelity beyond measure. 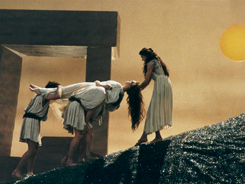 Claude Goretta's marvellous adaptation of Monteverdi's Orféo, a landmark piece in the history of the Western music. Klingsor has pierced King Amfortas with a sacred lance and nothing seems to be able to cure his wound. 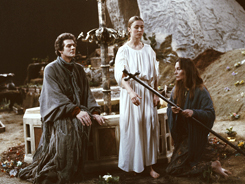 Parsifal, a young man with the face of a angel, thwarts sorceress Kundry's trap, steals the sacred lance from Klingsor and takes it back to the abode of the Holy Grail, thus bringing about the cure of King Amfortas. A remarkable adaptation of Wagner's opera.